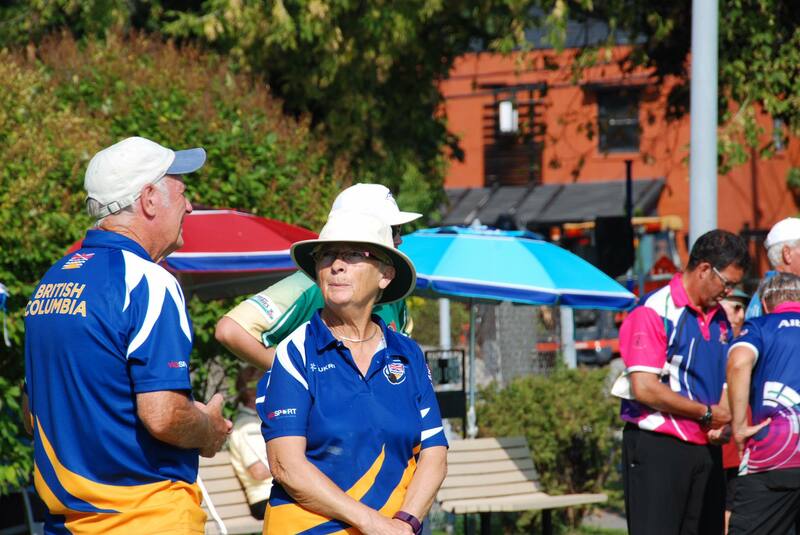 It was a Golden day for Mary Wright and Christie Grahame as they had the take no prisoners attitude and blew through the field at the 2017 Canadian Mixed Pairs Championships being played in Pointe-Claire, Québec. Wright and Grahame won gold over Alberta’s Pat Vos and Roy Riege with a 20-16 final. Mary and Christie would go through the field relatively unblemished as they would finish 6-1-2 and with an amazing +142 to finish first after the round robin portion setting up the final against Alberta. In the Bronze Medal Match it was the Québec-B team of Maurice and Murielle Beauchamp won the bronze over Saskatchewan’s Lois Kos and Brandon Watson in a 25-14 final. This caps off a great year for both Mary and Christie as their trophy Cases will continue to grow as Mary Won the Canadian Outdoor Singles and Canadian Mixed Pairs Championships. Christie would add to his Canadian Championship legacy and also add a few more Provincial Championship Medals to the collection. Congrats to all who played in the Championships and to our BC Bowlers who continue to raise the standard. A special thanks to the Pointe-Claire, Québec LBC for being such great hosts for the athletes.